We provide in-home pet sitting services and dog walking for Claremore and the surrounding communities. Karalot Pet Care is an experienced and reliable pet sitting business, a pet owner's dream come true! We are 100% dedicated to providing professional, loving, and customized pet sitting services in your own home. We take pride in accommodating your pet's individual needs! For pet owners who travel or are away from the house for long hours, keeping their pets comfortable and happy is always a top priority. As your professional pet care provider, this is our top priority too! Karalot Pet Care is preferred by many pet owners as an alternative to boarding. Pets prefer to stay home too! We have over 12 years of pet care experience. We provide services for elderly pets, pets requiring medications, puppies in training, animals with behavior issues, and more! Your home is your haven and your pet's sanctuary as well. We will keep your home and pets safe and secure until your return. Karalot Pet Care is fully insured for your protection and peace of mind. 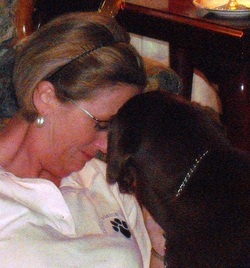 We are also members of Pet Sitters International and are Certified Professional Pet Sitters. Please feel free to contact us to schedule a free consultation visit in your home. We would love to meet with you and discuss your pet's needs!